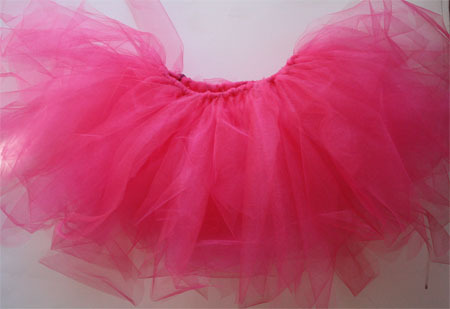 No Sew Tutu – EASY! – My Happy Pace! No Sew Tutu – EASY! Little OL had a princess part to attend so I decided to make her a “no-sew tutu” and bought her a little tiara crown to match. So where are the pictures of her looking cute and adorable in it? There are none – my little tomboy point blank refused to put it or the tiara on. I managed to get the teddy’s one on for all of about 3 seconds before she pulled that off. Apparently boy teddies don’t wear tutus! Next Post Just get out!! That is a great idea – we have loads of birthdays coming up. I love this…am going to make one for my little princess…she will probably end up wearing it while hanging upside down from the swings in our backyard. If you are lucky to get it on at all. Little OL still will not wear it. In fact she point blank refuses to wear skirts of any sort or variety. I was exactly the same. Cool – I hope you can get her to wear it.